The Irish ladies team heading to the world seniors in Sweden next April got together on the ice for the first time at the Greenacres Invitation last week. 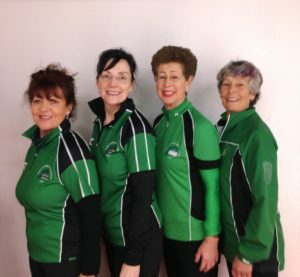 Marie O’Kane, Louise Kerr, Christina Graham and Clare McCormick had plenty of practice against some of the top senior ladies teams in the world and improved every game. Going forward, they have engaged Gordon McIntyre to coach the team ahead of their world challenge.